Being a successful bookie is a culmination of several different skills: you need to master content, sales, psychology, customer service, and good old-fashioned marketing if you want to grow your sports betting business. Bottom line? If you want to build a sustainable sports wagering business, a professional customer and sportsbook management platform like PayPerHead is a must. With PayPerHead as your sportsbook and bookie solution, you’ll be able to grow your business with the sharpest lines in the industry, live betting, online and live dealer casino options. It’s no secret that the sports betting industry is one of the fastest growing industries in the world. In this guide, I’m going to show you everything you need to build the sports betting company of your dreams. You know bookies make money and, if they run a good book, they can make a lot of it. We are here to teach you exactly how to become a professional bookie while avoiding common problems that newcomers face when building or expanding their sportsbook for the first time. Before we dive into the details of getting into the bookmaking business, it’s important to know the money involved. The online gaming market is one of the fastest growing industries in the world. Altogether, online gaming brought in an estimated 37 billion dollars, according to Statista. The biggest grossing contenders on that list? Online gambling – sportsbetting and online casinos. 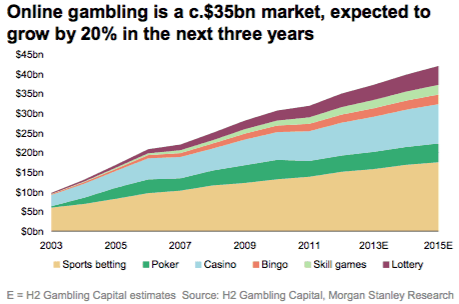 If you take a brief look at the growth of the online gambling market over the past 10 years and where the market is headed, you can see it’s only going to continue to dominate. When you become a bookie, you need to keep an eye on market growth and related technologies in order to stay competitive. 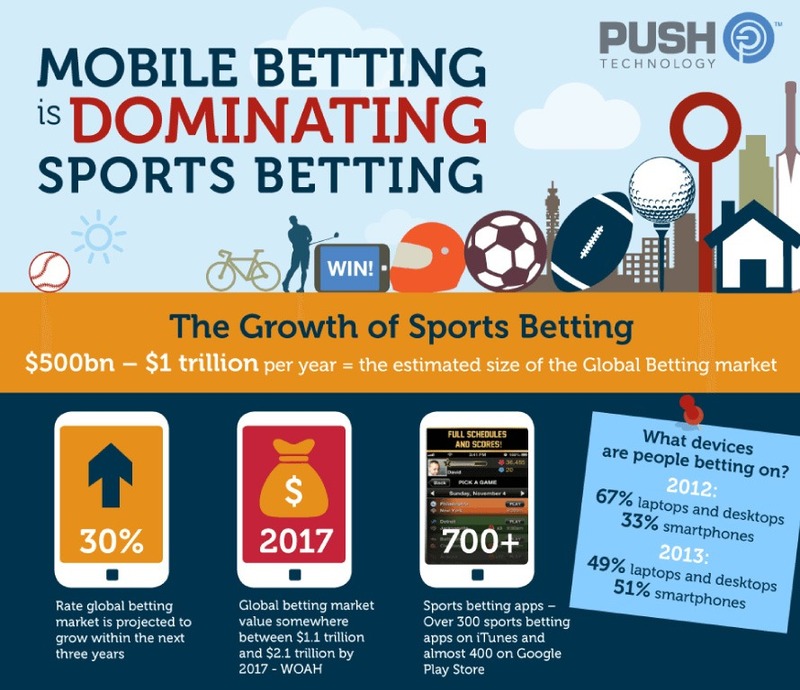 For instance, the biggest trend within the market currently is Mobile Betting. Make sure you offer an app for your players in order to capitalize on that. Now that you understand some of the basics, we’ll get into what you can expect out of your business. This varies between bookies based on their business goals and overall lifestyles, but we can give you a basic idea as to what to expect. We’re going to go through some of the basics, including money, time spent, and how to do the essential stuff to grow your sportsbook. You’ll quickly see how fast you can make money on the action that you take every week. If you’re running a standard operation, you’ll end up getting between 5% and 10% of the actual amount of the bets that you’re taking. If you’re running your sportsbook well and doing a few thousand dollars per week in payout, then it’s very likely that you are earning into the high five figures and low six figures in ‘hypothetical’ profit per year. Provided you run your book properly, all this can be achieved with minimal hours. How Many Hours Does a Bookie Have to Work? The hours of a bookie can change based on the time of the year, the games played, and the action that you are willing to take at a particular time. If you want to build up your business, focus on spending your time working with clients and finding new prospects. Overall, you can expect to spend 2-4 hours per week managing your book when you start out. Many do it on top of a 9-5 job. A bit of effort can net you a few thousand a week. Your can cut down hours spent on administrative and management tasks by using a bookie management system like PayPerHead for your business, too. Even though running your own sportsbook can be enjoyable, it is a huge amount of work. There are numerous administrative tasks that you have to handle on a regular basis. The more your business grows, the more complex your administration work will be become. Your staffing requirements will need to scale up, too. We will get to our experiences in hiring staff further down the page to help you scale and grow profitably! When you start taking bets as a professional bookie, you’ll quickly see how fast you can make money on the action that you take every week. If you’re running a standard operation, you’ll end up getting between 5% and 10% of the actual amount of the bets that you’re taking. This is known as the Vig (or Vigorish). It’s essentially your commission for running your sportsbook and managing your players. If you’re running your book well and doing a few thousand dollars per week in payout, then it’s very likely that you are earning into the high five figures and low six figures in “hypothetical” profit per year. Is Being A Bookie Easy? Success depends on your skill at taking bets, managing your action, and customers. There’s no shortage of bookies who have lost a ton of money by mismanaging their books, or those who actually had to work around the clock to make a meaningful amount of money. Most of these problems boil down to the skill of the bookie rather than the job’s difficulty level. Basically, if you want to be successful in this business, you need to take your time and develop your business step by step. Remember, you’re not going to be rolling in cash right away. Understand the market and the tools at your disposal from your sportsbook software provider. Step one in building your business is setting up the basics. You need a player management system first and foremost. This is exactly what our sportsbook software does: it manages your players, their credit, wins, losses and every aspect of their wagers with you. At this stage of the game, you shouldn’t expect to make a huge amount of money, so don’t worry about having just a few players in there to start. Remain focused on a small number of bettors to build relationships and ensure that your PayPerHead accounts are working exactly the way you want them to. You’re working on setting up the pieces that will let you make money consistently throughout the course of the year or the season. There are typically two types of bookies in this business. The first already has a circle of friends or family who bet regularly, and they can redirect those bets through their own book. The second either bets with a bookie now or just wants to open up their own book to make additional money. Obviously, if you can build your book from people that you already know, and who are already betting, then this is the way that you should go. Start with pre-existing relationships. Either way you’ll be able to get some clients quickly using a few easy tactics. Taking bets from your friends and family is the easiest way to start building your book. Not only are these people already betting on the games that you’re watching, but you earn instant credibility for knowing them beforehand. All you have to do is offer them the same lines that you are seeing from major Vegas casinos, which are also the spreads that their bookies are likely using. They will be more than happy to use your services instead because they know friends won’t cheat them. This does open up the possibility of an awkward dynamic, so be extremely careful when it comes to taking action from them. You don’t want to ruin a long-term friendship over trying to recover money from your friends or family who will be wagering. Be smart when taking these first bets. The sports and bookmaking business is no different than every other business in the world. Start with your relationships and build on them. Make one customer happy and then have them refer a new customer for you. The key to long-term success is turning strangers into customers and customers into friends. Let’s talk about how building trust will grow your business. How do you go up to someone and know that they are willing to give you action? There’s an art to getting to know strangers and getting them to become one of the players in your book. It all starts with talking about sports, horses, or poker. Get them talking about their interests. Learn about them and warm them up to the idea of betting to make the game more exciting. Keep in mind: you could be talking to them on Facebook, at a party, through another customer, or in the comments section of your favorite YouTube videos. They will be happy to direct more action towards you in general if the sports their other bookies offer are out of season. Getting your foot in the door with off-season betting is a great way to grab clients from other bookies. When prospecting for new sports betting clients, find out where they spend most of their time. You can head on over to pretty much any bar that has a TV broadcasting sports, then become familiar with the venues that really focus on catering to people who are interested in watching the game versus those who just want to get drunk and have fun. Your goal is to get someone talking about betting on the game. You can be sure that anyone who shows more than a passing interest in talking about sports betting in this type of place will be a great potential client. Next, you can start talking about other games on that day (or in the next couple days) and pretty much anything else, but the goal here is to really sell the experience of spending time with you and betting with you. If the conversation keeps going, you can even offer them some small action on the game to get them focused on gambling right there with you. Placing a few small bets on the games that you’re watching will also help build trust. From there you can easily get them to bet with you. There are a few common objections that you may end up running into with potential customers. First, they might be getting better odds with their current bookie. If this is the case, then you can get new clients by offering even better odds. This isn’t something that you’ll have to do all the time, but giving someone a point or two on the first few bets will go a long way. Second, they might not trust you. This usually has less to do with you and more to do with how comfortable they are taking bets with a stranger. If they usually bet with a guy they’ve known for years, you can’t expect to replace that relationship with a few bets over a beer. Over time, you can win them over, especially if you’re giving them better odds. Look at it as a relationship that will pay off in the long-run and focus more on having fun with them than with turning them into a client right away. If people keep giving you the impression that they don’t trust you, then you’ll want to reassess how you’re approaching people. They “don’t gamble” that much. Most of the time, people that “don’t gamble” actually do gamble, but they don’t think of it like a bookie/client relationship. In these cases, you’ll want to approach the situation more from a friendly perspective, but give them the same odds that you would give anyone else. It’s not as much about what they’re doing with you, but how they feel about the situation when they’re actually giving you action. All of your clients should feel like they’re betting with a friend. People come to you for more than just betting. They want to be entertained, and that means that you need to be someone they have fun around. This is something that you will inevitably do when you start out. Almost all gamblers will be betting through someone else before they start working with you. There is an art to taking business from other bookies, along with both a “nice” way to do it and a way that will get you in big trouble if you start taking too much business from the wrong people. You don’t want to start developing a bad reputation for taking clients from other bookies, so we are just going to focus on the better way to approach this type of situation: Becoming a Specialist for Other Bookies. When you’re building your book, a good way to start getting more clients is by working with other bookies who specialize in one sport. Many of them have issues keeping clients because most sports gamblers want to bet year-round, not just when their bookie feels like taking action. Offer your services as a specialist for a sport that they don’t currently offer, and ask to take their clients off their hands for the season. You will get a client roster that you can work with immediately, and some of them will stay with you after the season. Now, how do you get another bookie to agree to this? Even if you’ve bet on sports frequently, there is a chance you know very little about how a bookie manages his business. An established bookie knows what to keep in reserve, but the question is: what should you reserve for a new business? When starting your business, there are a few different problems that you need to contend with. First, with new clients, you want to make sure you have enough money to float the bet. Make sure you aren’t relying on the loser to pay the winners right away. Additionally, you must be able to go for multiple weeks without the worry of going under. Regardless of the client relationship, expect that people will stiff you when you are owed money. The math is fairly simple when starting out and will vary based on the amount of business you are doing. First, estimate the amount of total weekly action. You will need to cover this every week you’re in business. From there, it’s important to have at least four average weeks of cash available to you to cover all payments to clients. The important thing to remember is to have cash available to cover any scenario. You can’t afford to drive away clients through a failure to pay them. Paying out winnings immediately could make you a favorite bookie in no time. For the health of your business, it’s important to be assertive when you need to be paid. Do not let your clients get away with not paying you back. It does make sense to be a little more patient with new clients, but steer clear of an “IOU” scenario or else you’ll have no money in the bank. Keep your players in check. Never let them wager too often, too frequently or for very large amounts. Stick to a consistent “settlement day.” Tuesdays are a good day for this. When collecting regularly and on a weekly basis you will always have a handle on your client’s balance sheet. If you are going to use credit, then make your players earn it. Take the proper amount of time to ensure that credit is a reward reserved only for the most reliable customers in your book. Technology is essential to keep track of everything, but don’t spend too much time refining it. You just need to know the basics. Never go cheap on platform security. Your book, players, data— everything —is important. Your players aren’t going to stick around if they don’t think their information is secure with you. This should be a top priority in your sportsbook. 128-bit encrypted logins, triple-redundant phone lines, and prevention measures for distributed denial of service (DDoS) attacks represent the gold standard in industry security. Live casinos are a great way to boost your income during the off-season. Make sure you encourage your players to visit your online casinos, especially during the off-season. Sending out a text message or email with the right marketing message can help bring in some of your bettors. You can also offer casino credit contests or giveaways to draw in players who’ve never been in the casino. Having the most payment options for yourself and your players establishes customer loyalty. You’re letting your players pay on their own terms. You could also leave money on the table if you don’t offer multiple payment methods. You’ll want per head software that facilitates transactions via Bitcoin, all major credit cards, money orders, and wire transfers to get paid on time. The power to automate and schedule player action limits is an essential time-saver that lets you stay in control of your book in every situation. The bigger your book, the less time you have to edit players. Use software with mass editing options to keep your business growing efficiently, and put your time into making money rather than maintenance. A layoff account option keeps your book safe. Protect your bottom line by keeping the door open at all times. Cut down your exposure and lay off the action when it gets too hot to turn a profit. However, remember that lay off accounts are a tool. You’re an online bookie, not a bettor, so use it strategically. Overuse can cause you to lose players if they feel you’re abusing it. That’s going to earn you a bad reputation. A sportsbook business is a customer service industry. If you forget that, you’re going to lose your players and your hard-earned cash. You can check out examples of when to use your layoff account by clicking here. Your players can bet on every play with live in-game betting. This means more options, more bets, and more action in your books to make the maximum profit, and it works in both the hot season and the off-season. Information is key in this business, and your per head software provider needs to understand that. Find software that offers in-depth reporting so you can find out how much was bet on a game, who bet on it, how much was on each side. Adjust credit limits and create sub-agents accordingly to make the most out of every game. The ability to customize your dashboard, reports, and settings is important. You’ll need a dashboard that compares your business’ results between different weeks with a complete report breakdown. You should also be able to analyze your top players to identify the 20% of players bringing in 80% of your business. Sharp lines can increase your bottom line by a substantial amount. Look for solutions that offer the ability to choose the lines that work best for you and your players. An added bonus: get with the software that has in-house linesmakers. With PayPerHead, you’ll have just that, which means that you know the lines are always sharp and corners are never cut. Mass editing allows you to change the settings for multiple players at the same time. As basic as this tool sounds, it’s used commonly by larger sportsbooks, and will become incredibly useful as you grow. Saving time on maintenance allows you to attract new clients and building your book. There are plenty of other useful tools that you can find on PayPerHead. 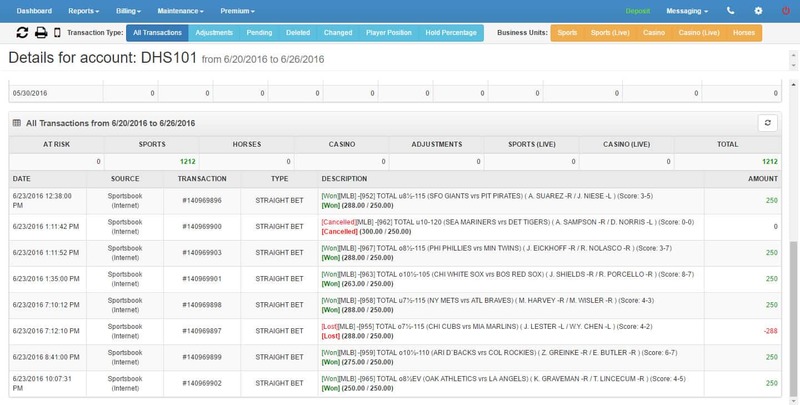 These are just some of the features you’ll be using to manage your sportsbook efficiently. As said before, you want a sportsbook software that offers the latest features with mobile betting. It is going to dominate the market, and you should be on top of it. Offer your players the betting options they’re looking for. Giving your players a variety of options keeps things fresh (and keeps them betting even when the hot seasons are over). This is all a part of good customer service. Having a variety of leagues, sports, and options keeps your players interested. Interested players provide you with a steady revenue stream. Assuming that you already have a smart phone, you may want to consider to getting a business line that is dedicated specifically to your book. You can manage certain aspects of your business on-the-go while keeping your personal life separate. As your business grows, you may want to get other phones for your business, especially if you have a considerable amount of staff. As your business grows, you will need to track your customers. People think that since you are small you have to work with small or “old school” tools. Bookies don’t need to use paper anymore, or even spreadsheets for that matter. It’s best to use bookie management software even for beginners, since it saves so much time to pursue new clients. Player Tracking Sheet: A simple worksheet with the names, phone numbers, total amount owed, and notes on each of your clients. Individual Bet Sheet: This sheet contains every bet that you take on every game. Ideally it should contain the sport, team, direction, size of the action, odds, and type of bet. We offer a secure, modern solution for managing your bookmaking business. It’s all included with your PayPerHead subscription. Below you can see the benefits of the PayPerHead Player Management Dashboard. From this section of our Bookie Management platform, you have the ability to set credit limits, line types, and all aspects of player information. 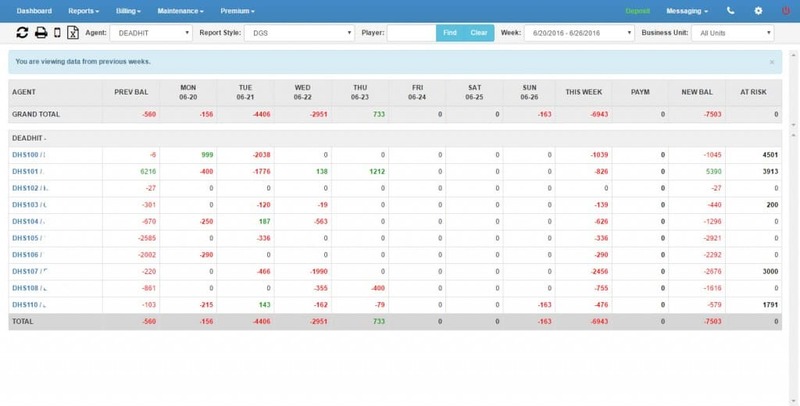 Our Sportsbook Management platform will free you from paper records, allow you to accurately track your players, and grow your bookmaking business. At the end of the day you need a platform that does the heavy lifting for you. It’s important to hire only when the saved time outweighs the cost of paying someone. Our advice is to start slowly and grow organically to avoid snap decisions. Develop a consistent revenue stream before you bring people on to help you out. It may be tempting to hire everyone that you think you need, but you might not be ready to hire any employees yet. Having a staff of 1-4 people for these tasks is not uncommon for a bookie that doing sufficient business. At some point, it will make sense to start pushing off some of the tasks that you really dislike onto a trusted employee or two. That will be a great way to keep your book growing while minimizing the amount of time that you spend running it each week. The first person you want to hire is someone who can work with clients. It consumes a lot of time. Having someone to manage some of your hassle-free clients and get in touch with them will free up a lot of time that you can use to build your business. You may think that bookies spend a lot of time setting their own odds, but in reality this isn’t a big concern. The best thing to do is to stay in line with Vegas odds for everything that you do: it’s simple and will keep clients happy. No client wants to feel like they’re getting ripped off with worse odds. A good place to check the odds is Sports Insights. Another concern you’ll face will be around taking weird prop bets or anything other than straight bets on the winning team or the over/under. While it’s tempting, the best option is to keep things consistent and only offer that action if you really have to. Not only are they hard to hedge, but they could seriously hurt your cash flow. While a bettor is waiting for a major payoff, you are winning money every single time they place a wager in your sportsbook. The life of a bookie isn’t about saying “this bet will put me in the green for the year.” it’s about looking at your book every week and knowing that, on average, your clients could be paying you thousands of dollars just for the opportunity to place a bet with you. The Vig (or “Vigorish”) is your main source of income. When you take bets from your clients, you’re getting a guaranteed percentage of every wager placed in your book. Bookies often take up to 10% of total action for a reasonable margin of safety to take bets, allowing you to provide the best service possible. This can amount to a few thousand dollars a week, which isn’t a bad salary for handling a few bets and managing the administrative side of things. On the other hand, be prepared to contact your clients regularly, offer them good lines, and practice good customer service. When you compare all of these small hassles with relatively consistent weekly earnings just from the Vig, you’ll see why the sports betting business is so profitable. It’s easy to see the effects of lopsided betting action. Ask anyone who knows sports and they will have some bias for or against a particular team. As a bookie, you get to take advantage of that action, shifting your lines so that players who bet on a particular home team will be more likely to fall on the losing side of things. You can’t do this too much or players will go somewhere else, but giving yourself a slightly favorable line can result in consistently bigger payouts on top of your Vig. Your most aggressive clients will always want to make big gambles on longshot or underdog bets. These are the minor lines like whether or not the home team’s first points will be on a kickoff return (for example). Not only do they pay off big, but they will regularly pay off big for you. If you can handle the action, accepting these bets will add some consistency to your weekly earnings since they don’t hit too often. If you take a few $50 long shot bets a week, then you can easily handle the big, inconsistent wins that you will earn while streamlining your earnings over time. Be very careful on long shots anyway. Just imagine taking big action on Leicester City in England’s Premier League at 5,000-to-1 odds to win the 2016 title. Not fun. These are the three big ways that bookies can make money. Not only are they relatively easy, but they are consistent in their payoffs as well. The same cannot be said for traditional sports betting from the other side. As a bookie, you don’t want to be trumpeting these advantages to your clients, so many of these topics won’t be discussed out there. Your losses, on the other hand, will be. One of the key ways of marketing to new clients is by skewing odds on heavily gambled match-ups during the season. After all, if you start talking about your book taking action at +6.5 on a major NFL game that is +7.5 everywhere else, people who know something about sports gambling will take notice. The key to taking profitable action is making sure that your book is balanced and making sure that you aren’t taking action that is too large relative to your overall betting volume. One bookie who was just starting out ended up giving up too much on his odds (2-3 points – a major shift) and saw his backup funds get hit pretty hard over the month that he was offering these new player lines. 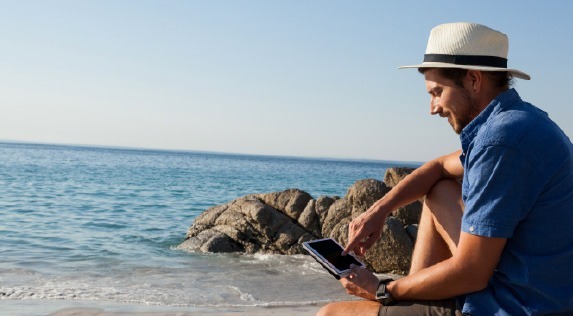 For him, losing upwards of a thousand dollars a week caused some serious problems for his cash flow, but he kept with it and was able to retain many of his customers when he switched back to Vegas lines. While he was later able to recover from this, the lesson that you should take away is that lines should not be skewed for all players, but rather as a key marketing tool for new bettors (his key mistake). When you do give players more favorable lines, keep them on for a week or two at most, and then revert to the profitable Vegas lines for the rest of the season. If your new players walk away, just let them go. They were only in it for the lines, not the experience of working with you. One of the key ways to make money aside from the Vig is by skewing lines on your home game bets, which tend to be more aggressively wagered. This can add 20-30% to your total profit if done correctly. A bookie found that heavily skewed lines didn’t help him when the home team started winning every game for the first month of the season, and saw weekly losses that ended up costing him over $10,000 in his first month. The lesson is this: no matter how much action you are getting on your unfavorable lines, make sure that you either 1) have a balanced book or 2) hedge some of that action on another book (or Vegas Sportsbook) to keep your risk low. When you have such favorable odds and a skewed book, hedging can be a lifesaver when you’re focused on making it through the season, but not on making the best long-term profit. While your clients will love giving you action on prop bets, getting one that actually pays off isn’t so much fun for you. These prop bets can pay off big time. For bookies that are looking to keep themselves in business while starting up, limiting these prop bets by max loss can be essential. 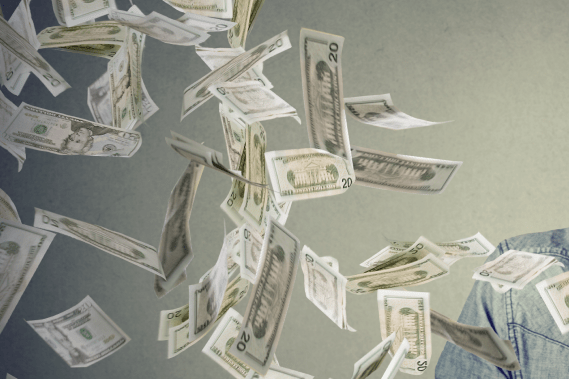 Keep the 50-1 (and higher) plays to a small portion of your total action, and make sure that you have ample reserves before you go into the prop business. While it can help streamline your weekly earnings, you want to be established and very profitable before you dip your toe in these waters. Smaller bookies who do not control prop bets are essentially setting themselves up for an early, forced retirement from the business. Giving too much edge is a key marketing tactic to attract new players. As we mentioned before in “Skewing the odds too much for new clients,” this has to be managed very carefully. It can swing against you quickly and mercilessly. Bringing in (Proposition) Prop Bets can bring in additional income, as they consistently miss and only require a payout every few weeks. Do be careful of a poorly-timed major prop bet that could spell the end of your career in taking wagers. Taking too much action on a bad line. When it comes to taking action, the rule of the road is to take it on both sides of the board. What often happens is that most books end up being heavily weighted to one side on games where clients have a particular interest. The best way to deal with it is to balance your book and then hedge the rest of it. Hedging itself has a bad name, but it brings some positive benefits for your book. First off, having your position fully hedged can keep a novice bookie in the black (or close to it) during even the worst weeks, and it can spell major profits during the best times. In due time you will find alternative options to grow your bookmaking business, including improving your website, making full use of your bookmaking software, and advertising. Congratulations on your plan become a bookie and start your own business. Becoming an entrepreneur is as exciting as it is nerve-racking, so ease into it slowly. Remember: you have the resources, you have the sportsbook management software, and you have the determination to become an online bookie. Bookmark this page, as we will constantly be updating the information and resources. Good luck!